Ready, set, organize. Have a place for everything and put everything in its place. 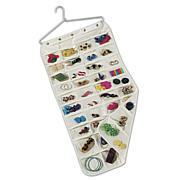 This organizer includes 2 strong hooks that let you hang it in your closet to store a variety of items. 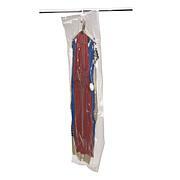 The versatile, "breathable" fabric is stabilized by the plastic shelves. Space saver!! I stacked sweaters on upper 4 and hats and gloves on the bottom 2. It just works. 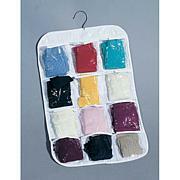 I purchased this with the goal to organize hats, gloves, scarfs, purses, etc. It does the job. I open up the closet door and everything is neat and tidy. I can easily find what I need. Great brand. Love this product. 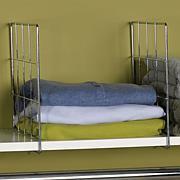 Very useful in a small closet and can hold towels and linens that I didn't have room for. 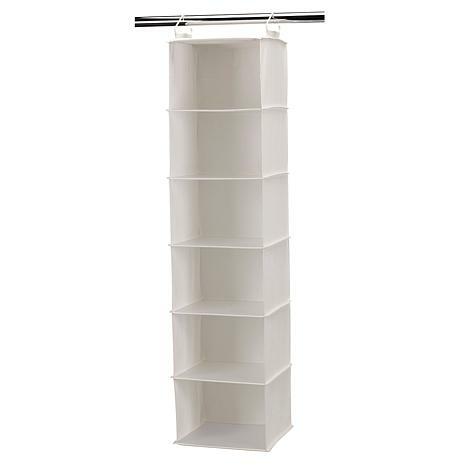 Exactly what I needed in my walk-in closet for tops - sweaters- socks,etc. Very good for light pieces.